Let’s say you live in Budapest, and talk to your friends on the local DMR repeater HG5RUC, which is linked to talkgroup ID 216 (TG216) on the BrandMeister network. If you travel around the world, where you can’t reach the repeater HG5RUC directly, you can still talk with your friends by using an openSPOT2 and a DMR (or cross mode compatible) radio by connecting it to the same network and talkgroup which HG5RUC uses (TG216, BM). If you speak with your radio on the openSPOT2’s frequency, it will route your call to TG216, and HG5RUC will transmit your signals all around Budapest, so your friends will be able to hear and talk to you. If you don’t have local repeater coverage, the openSPOT2 can link you to supported digital networks all around the world. You can talk to people living on the other side of the world very easily. What if I already have local repeater coverage? If you do have local repeater coverage, you can still make use of an openSPOT2 to avoid interrupting local repeater traffic. You can reach any reflector or talkgroup with it, so you don’t have to disconnect the local repeater and disturb other local users. What makes openSPOT2 way better than any hotspot currently on the market? 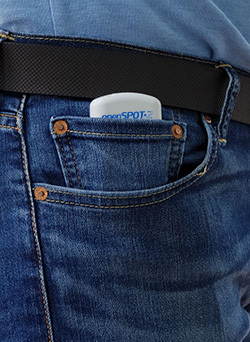 Currently the openSPOT2 is the only hotspot on the market (besides the classic openSPOT) which is customly designed as a dedicated hardware unit for standalone operation. It does not need a computer, a Raspberry Pi, an Arduino board, SD card or any other hardware to operate. It doesn’t need slow desktop PC software or drivers to install. No Linux knowledge is needed at all. 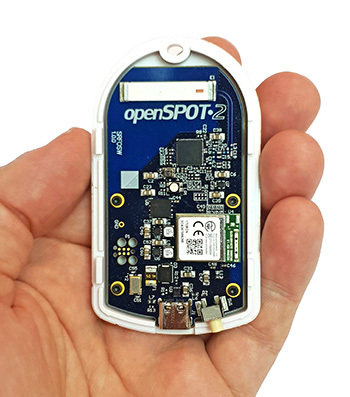 The openSPOT2 is designed by hardware and embedded software professionals, who are also amateur radio enthusiasts. It’s PCB, hardware components and case are very high quality, meet industrial standards and were chosen with practicality and durability in mind. We offer 2 year warranty with official support in email and on our community forums. The openSPOT2 is not an MMDVM clone, it has nothing to do with MMDVM or Pi-Star, and it’s not a Raspberry Pi wired with a bunch of PCBs in a case (or without a case…). Using the device is extremely easy. You can change the openSPOT2’s every setting by opening it’s built-in web interface with a web browser. You can also use the Quick Setup feature to easily connect the openSPOT2 to a digital network like BrandMeister. Opening the web interface is rarely needed, as you can switch talkgroups, reflectors, and even pre-saved configuration profiles by using your radio. Even the first time setup is very easy. 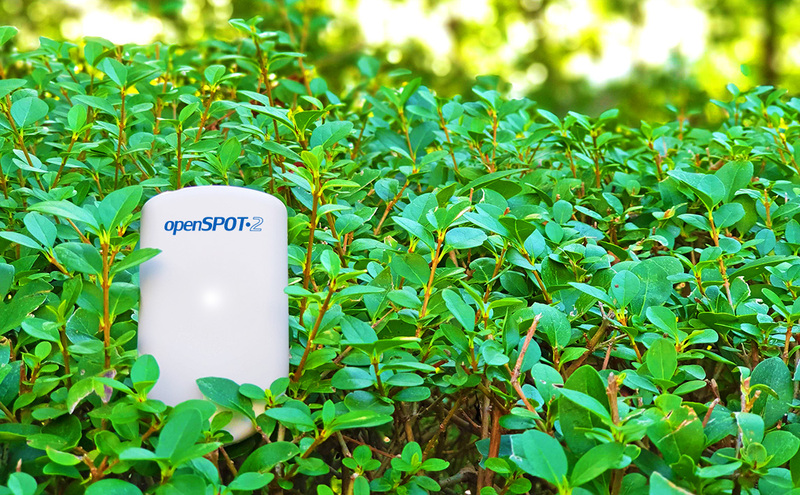 If no Wi-Fi networks are configured, then the openSPOT2 appears as a Wi-Fi network access point on your phone/tablet/PC called “openSPOT2 AP”. Connect to this network, and a connection wizard helps you to connect the openSPOT2 to the available Wi-Fi networks. Is it available as a kit or does it come preassembled? 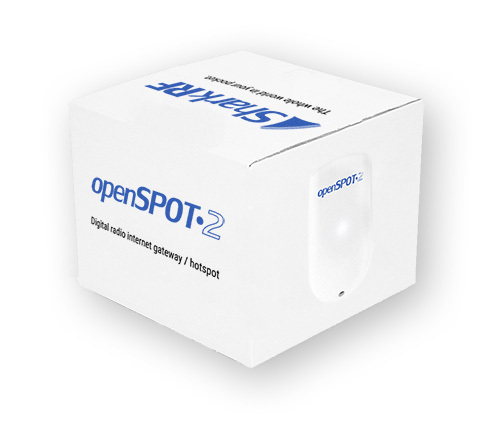 openSPOT2 is a ready to use product in a box with all the needed accessories like any other product you can buy from the store shelves in your local electronic department store. You can find the price in our shop. Note that the openSPOT2 has all accessories included and ready to use with your digital radio. We offer 2 year warranty with official support in email and on our community forums. We respond to all emails very quickly. openSPOT2 has a detailed user manual which will be available online before the product sales begin. We’ll have tutorial videos on our YouTube channel. We also have a Facebook page, and a Twitter channel with the latest news. We ship with DHL Express with tracking. Orders of products in stock are shipped with delivery times of 1-6 business days even to the most remote parts of the world. Shipping to EU usually takes 1, shipping to the US usually takes 2 business days. You’ll receive your order’s tracking number in an automatic email when the courier service picks up the package. The power plug you’ll be able to use in your country will be included in the box. You’ll get the exact shipping cost after registering in our shop with the delivery address and do the checkout. No, openSPOT2 does not have a waitlist. We’ll have enough in stock when we start selling it. Specifications are available in the user manual. What happens if I move between multiple Wi-Fi networks? The openSPOT2 automatically reconnects if the connection is dropped. You can set up multiple Wi-Fi networks to connect to, so it’s very easy to set it up for your home, vehicle, and work Wi-Fi networks. The device will automatically connect if one of the configured Wi-Fi networks become available. Can two or more openSPOT2 be linked together? Two openSPOTs can be linked together directly without any servers or network infrastructure. Interconnecting two digital radio sites can be easily done this way. You can also create your own private radio network by using our open source server application called SharkRF IP Connector Protocol Server. Multiple openSPOTs can connect to this server, it handles all radio modes, even supports cross mode operation. It also has a nice dashboard. What is cross mode operation? For example, the openSPOT2 can convert your DMR radio’s transmission to a C4FM network, and when someone talks on the C4FM network, you’ll be able to hear it on your DMR radio. This cross mode operation is extremely easy to set up. Are there any plans for a VHF version? The openSPOT2 has a built-in antenna for the UHF band. Currently we don’t plan to ship a VHF (or dual band) version of the product. Are there any plans for a DMR duplex (dual timeslot) version? Currently we don’t plan to ship a DMR duplex version of the product. Does cross mode work with D-STAR? No, as D-STAR uses an older codec which is incompatible with the newer one used by DMR/Fusion/etc. and would require additional hardware which the openSPOT2 does not have. Will there be support for connecting to Ethernet networks? 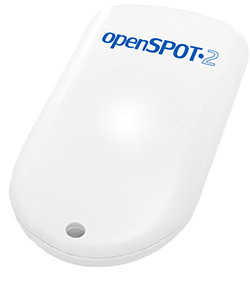 You can connect the openSPOT2 to an Ethernet network using a wireless AP device. Which Wi-Fi band is supported? openSPOT2 works on 2.4GHz Wi-Fi channels. I’m a developer. How can I use the API? By using openSPOT2’s API, you can develop your own software to control the device without using it’s web interface. For example, you can send and receive text messages, monitor calls, link/unlink talkgroups. What’s the difference between openSPOT2 and the previous version? openSPOT2 is a whole new device with Wi-Fi, USB-C high tolerance power supply, onboard external flash memory (for fully automatic firmware upgrades, DMR ID database and other new features), built-in antenna, a 0.5ppm TCXO with factory calibration for very low BER. Most of the software components were redesigned to make the whole device extreme fast, future-proof, and use very little power. We’ve added new radio modes and network protocols. The web interface is redesigned and now use WebSockets technology which means extreme low latency and a whole lot of new realtime features. Is the openSPOT2 and previous version’s software compatible? No. openSPOT2 uses an entirely new architecture which is not compatible with the older model. Will there be an Android/iPhone app? sharkrf.link is available as an application, but it is optional, as the openSPOT2 can be configured using it’s web interface. You can open it in any supported browser even on your phone. Can I use multiple openSPOTs on the same network? Yes! Make sure each device’s name is unique so you’ll be able to open each one’s web interface by their unique device names. You can change the device name at the Network Settings on the web interface.